Ruffles have been in nearly every single Spring 2017 collection, and Alberta Ferret's collection at Milan Fashion Week was no exception. 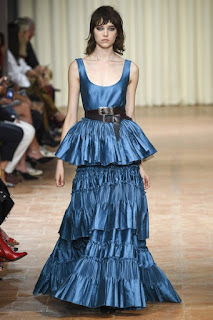 There was something more bohemian, and less Elizabethan about these ruffles however, and I absolutely love it! 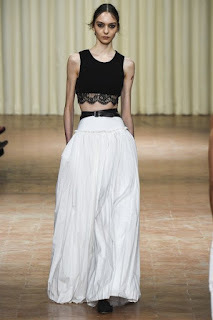 The materials look really expensive and beautifully draped and styled. 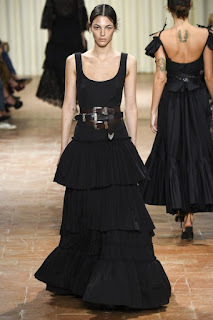 The chunky belts, colors and mix of patterns here and there were highlights of this collection for me. To view the entire collection, click HERE.